Get the complete analysis of the 2017 Belmont Stakes with Nilsen’s value play selections for the big race. There may not be a Triple Crown on the line, but just like last year, this is a tremendous betting race. Speaking of last year, Nilsen gave out $34.80 winner Creator as his top pick as well as the huge exacta with Destin that returned over $260! Three weeks ago with his Preakness day analysis, Nilsen gave out several winners including a $21.60 Spot Play (Best Bet) on the undercard! 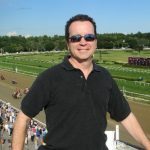 Founder of AGameofSkill.com, Nilsen is the winner of 6 major handicapping tournament and a 13-time qualifier to the multi million-dollar National Handicapping Championship (NHC). There are a lot of pretenders out there. 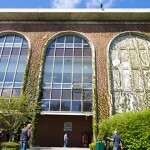 Get affordable, expert advice for this year’s amazing Belmont Stakes card. In-depth Analysis of the Belmont Stakes. Two Value plays keyed in Exacta, Trifecta & Superfecta strategies. 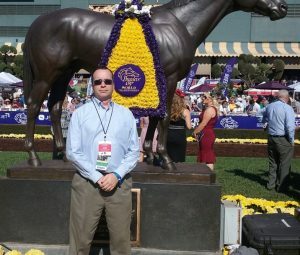 AGameofSkill.com founder and 12-time NHC qualifier Rich Nilsen is back with his in-depth analysis of the Breeders’ Cup World Thoroughbred Championships. 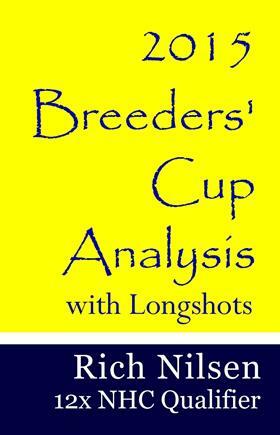 In this report you get all of his picks for Saturday’s Breeders’ Cup along with spot plays and suggested wagering strategies. There are plenty of charlatans out there charging $50 or more and making ridiculous promises. Get this affordable and professional report today. You don’t want to miss this report as Rich has crushed the Cup in past years (see last year’s recap below). Thank you for looking. Four of the five Spot Plays given out on the Breeders’ Cup Analysis by AGameofSkill founder Rich Nilsen won and won big. The highlight was the top selection Work All Week, who upset the Breeders’ Cup Sprint to the tune of $40.20 and keyed the trifecta play given out on the sheet which paid a whopping $1,064.70 (for every $1 increment). Nilsen’s first Spot Play of the day was Dayathespa, who cruised to an easy win in the Filly & Mare Turf and paid a generous $13.00 to Win and $6.60 to Place. The next Spot Play was the recommended Win wager on Bobby’s Kitten in the Turf Sprint. 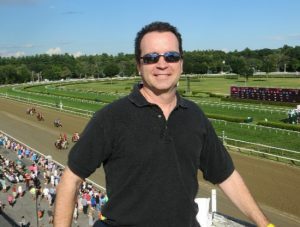 The cutback runner for trainer Chad Brown returned $16.40. Next up from Nilsen was the $64.80 exacta with Main Sequence over Flintshire in the Breeders’ Cup Turf. In the very next race WORK ALL WEEK took the Sprint, paying $40.20 and $18.40, hitting the big trifecta, and completing an $1,814.70 Pick-3 for those who used Nilsen’s top 3 selections. PACE SCENARIO: Dayatthespa is the clear lone speed in this 1 1/4 mile race. The daughter of City Zip stretches out off a 1 mile win at Keeneland and she will take this field as far as she can under crafty rider Javier Castellano. She won a grade one easily at 9 furlongs, finishing the last 1/8th in a sizzling :11.2. The euro invader offering the best value is Fiesolana. Spot Play? Play # 4 Dayatthespa to Win and Place. PACE SCENARIO: A fast pace is ensured in the Breeders’ Cup Sprint with Fast Anna and Work All Week the speed of the speed. The older horse, Work All Week, will sit right off the flank off the sophomore colt to his inside before taking over. Undefeated on fast dirt in 7 attempts, Work All Week doesn’t have to carry his racetrack with him and the win machine could be this good for Midwest Thoroughbreds. Spot Play? Play #13 Work All Week to Win and Place. Play a trifecta partwheel #5, 13 with #5, 13 with ALL. Trifecta partwheel #5, 13 with ALL with #5, 13.